There is definitely something unnerving and rather intoxicating about plodding through the bush knowing you're in the sights of many wild animals - but in their domain. That's exactly how I was feeling in South Luangwa, Zambia's best known national park. The wildlife-watching here is unparalleled and this, coupled with the sublime beauty of the bush, puts it in the top echelon of parks in southern Africa. I saw plenty, including giraffe, various antelope including waterbuck and puku, zebra, elephants, buffalo, and - heaving itself out of a small pool of water that we walked past - a hippo. The walking is sometimes tough, through gouged-out, sun-hardened mud but it's the quintessential nature of the woodland and grassy plains that captures the imagination. And while walking through it, you are that much closer to the sights, smells and sounds. Intense, absorbing wildlife encounters are pretty much guaranteed at South Luangwa during the dry season, when elephants, antelopes, gazelles and giraffes converge on the Luangwa River. When I visited, we saw leopards, mating lions, wild dogs, carmine bee-eaters, vast herds of buffalo and scores of other animals and birds. The rains were late to break and the tension in the air was extreme, as the grazers struggled to sustain themselves. I felt this particularly acutely on one bushwalk, when we were were surprised by advancing elephants and a furious hippo. The level of activity and the beauty of the surroundings, graced by groves of mature trees, have attracted many first rate safari companies. It’s particularly good for those who enjoy walking – though at the end of the dry season it’s so hot that you can’t walk for too long. As well as seasonal camps, there are permanent camps in areas which don’t get flooded during the rains. The staff at the latter are just as enthusiastic about the green season as the dry season, bringing as it does an abundance of fresh vegetation, newborn animals and dazzling birds. Little has changed in the five years since I first reviewed South Luangwa. However, my most recent visit, during the height of the January rainy season, offers an additional perspective. Several operators now offer ‘Emerald Season’ safaris, using boats to explore the flooded valley floor and thus access areas that were previously considered off-limits at this time of year. You will often hear it said, across Africa, that the rainy season is less productive for game-viewing: the dense bush reduces visibility; the abundant water disperses the animals; and the intense heat, daily downpours and damaged roads make life more difficult for visitors. My experience, however, belied this view. As expected, the smaller wildlife was prolific: the birds (their ranks swelled with summer visitors) were in breeding plumage, singing and displaying; night brought a chorus of frogs and insects; and the bush bloomed with flowers and butterflies. But the big game viewing was also superb – especially on foot, when I had close encounters with elephant, lions and even leopards. Boats allowed for excellent viewing and birding along the banks, plus countless hippos and crocodiles at point blank. To cap it all, the lush vegetation and vivid storm skies were ideal for photography. And, with few lodges operating, it felt as thought we had the park to ourselves. This, by any standards, was an outstanding safari experience. South Luangwa, whatever the season, remains the jewel in Zambia’s safari crown. Its mosaic of floodplain, oxbow lake and ebony grove is alive with wildlife and justly famed as Africa’s top spot for walking safaris. Hippos cram the pools and river, elephant and buffalo are everywhere and the local Thornicroft’s giraffes are a unique subspecies. Among numerous predators, leopards are unusually abundant and often seen on night drives – along with civet, porcupine and other nocturnal species that tend to be more elusive elsewhere. Notable absentees are cheetah and rhino, but wild dogs sightings are on the up. Small owner-run lodges boast excellent guides, wildlife wanders through camp at will and birdlife is superb, with Pel’s fishing owl among the top ticks. The only grumbles you will ever hear concern the volume of tourist traffic around the main gate area, where big cats often attract a crowd. Deeper inside the park, however, you will meet few other vehicles. I love South Luangwa. Despite its vast size (9000 sq km), it has relatively few visitors so provides a real wilderness sensation. Yet, the chance to take guided walks and night drives gives it an intimacy rarely provided in most African national parks. Other than black rhinos, the Big 5 are here in abundance but, with some of the most knowledgeable guides in Africa to explain in minute detail the lives of seemingly all creatures great and small, you might find watching little bugs just as interesting. Night time in South Luangwa brings a whole new bush scene, from tiny but beguiling elephant shrews to prickly porcupine to leopards stalking for a kill – I’ve seen more leopards here than anywhere else, often when I’ve been on foot. Its topography has been carved out by the vast Luangwa River leaving oxbow lagoons and flood plains in its wake. If you stay at Tafika or the Robin Pope Safaris lodges, I strongly recommend visiting Kawaza and Mkasanga villages, both brilliantly supported by the camps, to see the human side of life in the bush. There’s such an abundance of animals in South Luangwa it could almost be called crowded. I’ve always had amazingly diverse safaris here, and not just to see the usual suspects (of which there are plenty). At the smaller end of the scale, I have been delighted to see honey badger and civet cat, a porcupine sniffed around our door one night, the elephant shrew fascinated me, as did the snake dangling in the tree by the camp kitchen. Also incredibly rewarding are night drives which open up a whole new world under the sensitive glare of the spotlight. Highlights were following an elephant family in the moonlight and a staggering four leopard sightings in just one evening. Equally as wonderful was sitting at a lodge studying the peaceful Luangwa River; bushbuck came to drink, baboons played around, magnificent birds fluttered in, and hippo and croc lolled around doing even less than me. In the footsteps of Norman Carr, some of the best guides in Africa use The Luangwa Valley as their playground. Most of the camps in the area offer a very in depth educational and exciting bush experience. Aside from the normal drives, a lot of emphasis is given to night drives and walking safaris. The nightdrives I’ve been on in the valley are the best I’ve had throughout Africa. Nighttime specials include porcupine, genet, bushbaby and leopard. Although often spotted in daytime, I’ve seen lions hunt at night on many occasions. On gamewalks I’ve had a closer look at a lot of the smaller creatures difficult to spot from a vehicle like a spider and termites, but more often than not, my skilled guide would take me downwind from something much more exciting like a herd of buffalo or elephants. Also on offer is the ultimate safari experience: fly camping. This is where you’ll be taken on foot into the bush and a very simple tented camp is exclusively set up for you. I’ve never felt closer to nature in my life. Our first night camping on the other side of the Luangwa River, which serves as the park’s natural southern border, was certainly a memorable one. I was mock charged by a young bull elephant that came marauding into our camp; I had to wait in the ablutions block for twenty minutes until a hippo stopped blocking the exit; I got up to pee in the middle of the night to find three hyena sniffing around a neighboring tent. And we hadn’t even entered the park yet! On our first game drive, we’d been inside the park for a grand total of ten minutes when we spotted a male leopard lounging in a sausage tree by the river’s edge. There wasn’t another car in sight. Over the next three days, I lost track of the number of leopards we saw. If you come here and don’t see leopard you might need your eyes tested. Among other numerous highlights was a large pride of lions with cubs fighting off an onslaught of spotted hyena and vultures from a recent kill. The birding is also excellent here, particularly in the quieter, wilder Nsefu section of the park. This area is also a good bet for wild dogs. For me, the Luangwa Valley is the African bush exactly as it should be. I’ll certainly be back. My abiding memory of South Luangwa is the routinely superb night drives, which yielded an incredible number of leopard, genet, civet and white-tailed mongoose sightings, along with some great one-offs, such as honey-badger and porcupine. I also really enjoyed the fact that you can chose between game drives and guided walks: the latter offer a rare opportunity to see the likes of buffalo and elephant on foot, and to absorb the sights and sounds of the bush without the constant roar of a car engine as distraction. The Luangwa River, for which the reserve is named, is also an imposing presence, supporting hundred-strong huddles of hippos in isolate pools as the dry season kicks in. Overall, this is an excellent reserve, and close to the top of my ‘must revisit soon’ list. Set in the lush Luangwa Valley, magnificent South Luangwa is by far the best park in Zambia when it comes to the diversity of game on offer. 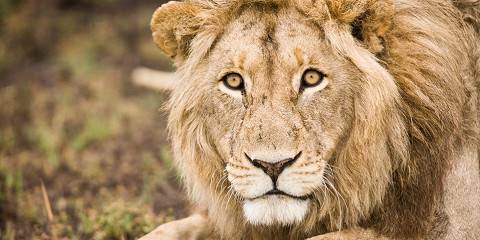 Large herds of antelopes, giraffes and buffaloes roam the park, elephants and huge pods of hippos wade in the swamps and the river, lions hunt on the plains, and once rare wild dogs are increasing in number. 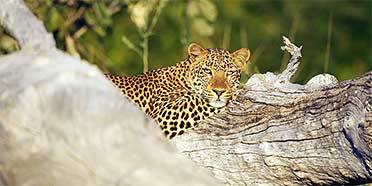 Leopards stalk the dense woodland, and are especially visible on night drives, a highlight of my visit here. The park is also home to unique species of giraffe and zebra. There is accommodation for every budget, from luxury lodges where you can gaze out at wildlife heavy plains from an infinity pool, to basic, self-catering camps. I stayed at lively, riverside Flatdogs camp, where I pitched my tent amongst the monkeys on a platform in the trees. To experience the bush in intimate detail a walking safari (the first African walking safaris were dreamt up here by conservation pioneer Norman Carr) is a must. Your chances of coming across game are high, and your guide and armed ranger will give you a detailed (and nerve-wracking!) briefing of what to do in case of a Big Five encounter. South Luangwa sums up everything that is great about Zambia. With at least 500 lions and more than 700 leopards the game viewing is terrific, the birding is brilliant and the guiding is second to none. Robin Pope and Phil Berry set the benchmark, having learned their trade with the late Norman Carr, the legendary game warden who pioneered walking safaris here back in the 1970s. Today there is nowhere better to experience Africa on foot as you stroll through the park’s shady ebony glades or tiptoe through the towering “adrenaline grass” in search of elephant, lion and buffalo. As for the birds I can think of few sights to match the carmine bee-eater colonies that nest in the banks of the Luangwa River, flying up as you pass by and then settling again like a shower of falling rose petals. The river, of course, is the park’s lifeblood. Meandering through the valley from end to end between its wooded banks and oxbow lagoons, it provides permanent water for the game and idyllic settings for small, authentic and owner-run bush camps as exemplified by Kaingo and Tafika. At most camps the usual 4WD game drives are also on offer, including night drives to track down the leopards for which Luangwa is famous. The largest elephant herd I ever saw was in South Luangwa. After weeks of travel, I opted out of a morning wildlife drive and was sitting at our campsite, fretting over my potentially regrettable decision when I was alerted to a herd of elephants crossing the river. We watched as they made their way up the banks and leapt up a tree (thankfully there were ladders to assist) as the herd picked up speed and hurriedly made their way straight through our camp. The park is a haven for water babies, with ellies and hippos sighted in their droves in the rivers and water holes. Four of the big five can be spotted (there's no rhino) as well as the occasional wild dog, some smaller cats and myriad monkeys. 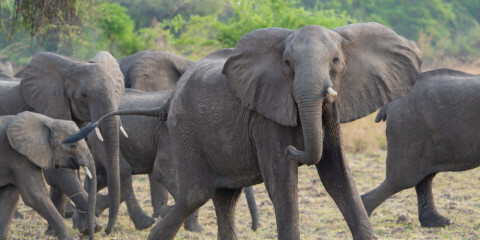 South Luangwa is undoubtedly the country’s most celebrated park and for good reason. 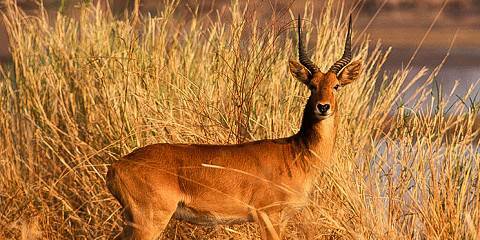 It’s an attractive wildlife area with the perennial Luangwa River demarcating the eastern boundary as it snakes its way south. Animal densities are high, especially in the popular Mfuwe region, where the well-habituated animals provide guests with plenty of opportunities to enjoy quality sightings of all the main carnivore and herbivore populations (excluding rhino). In addition to this, the park boasts some of the best leopard viewing in Africa and wild dogs have also made a strong comeback in recent times. With the exception of rhino, South Luangwa has it all! Unfortunately, this impressive wildlife diversity also means it’s an incredibly popular wildlife sanctuary. However, you can escape the crowds and enjoy an enhanced wilderness experience with superlative sightings if you visit during the Emerald Season (during the rains) or spending a little more money to stay at a top-tier lodge deep inside the national park.